KARACHI: Karachi police allegedly ‘harassed’ a family travelling in the car after being pulled over in Defence Area, the video of the incident has gone viral on social media. In the video, recorded by the female member in the car, it can be seen that the vehicle was stopped in the middle of the road and the police officials surrounding it. The officials could be heard ordering the driver to come out and meet their officer sitting in his vehicle. The driver and the female passenger refused to come out instead asking the name of the police officer sitting in the vehicle. 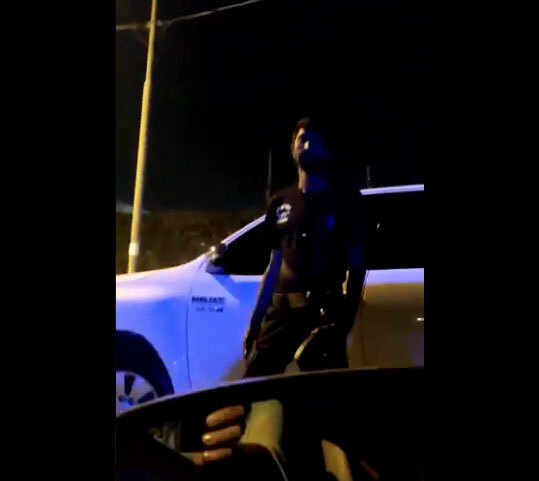 The man in the car can be heard asking in the video who the ‘sir’ the police officer is referring to is, who has summoned them outside his vehicle to which the official replies that is a high official. “I have done nothing wrong and you know it yourself. I did nothing wrong,” the man in the driving seat tells the official. The woman in the passenger seat asks for the name of the ‘Sir’ and the officer replies that it is the IG. “You can ask the IG sahib to come here and talk to us. Why should we go? We are citizens of this place, you cannot just ask us to get out of our cars,” she says. “We don’t live in a sovereign state that you can causally just call us. You call him. He wants to talk to us, we are ready he can come here and talk,” she adds. The family says they were allegedly stopped by the police officials in the middle of the road without any mistake like criminals and were being ‘harassed’. Meanwhile, DIG Kamran Afzal, refuted the allegations claiming he was travelling alongwith his family when the car overtook them twice and also two other motorcycles. The driver was running the car in reckless manner. DIG Kamran went on to say his police guards stopped the vehicle to ask for the problem, adding that the incident took place 4-5 days back.